Sustainable tourism is the main driving force behind Biosurfcamp. It is all about searching for a different experience where you can enjoy the environment and nature while taking care of it at the same time. That is why in our facilities, we put a lot of emphysis on recycling with a whole area dedicated to it with 6 differents bins for cans, containers, plastics, organic waste, oil, etc. We consider proper waste management at the source to be fundemental, which is why we promote the recycling of all the products used in our camp. We compost the organic remains we reincorporate as a fertilizer in our the garden, or the fruit trees, which allows us to avoid the use of harmful chemicals. Almost all of our camp’s facilities such as the bedrooms, bungalows, kitchen and bathrooms have been built by none other than ourselves. Using certified wood from a local sawmill avoiding any environmental or social impacts typical from distant importation. We also aim for the promotion of Bioconstruction. Therefore, we have built two large shared bedrooms: the yurt and the dome. The yurt refers to a type of construction used by nomads in the steppes of Asia. 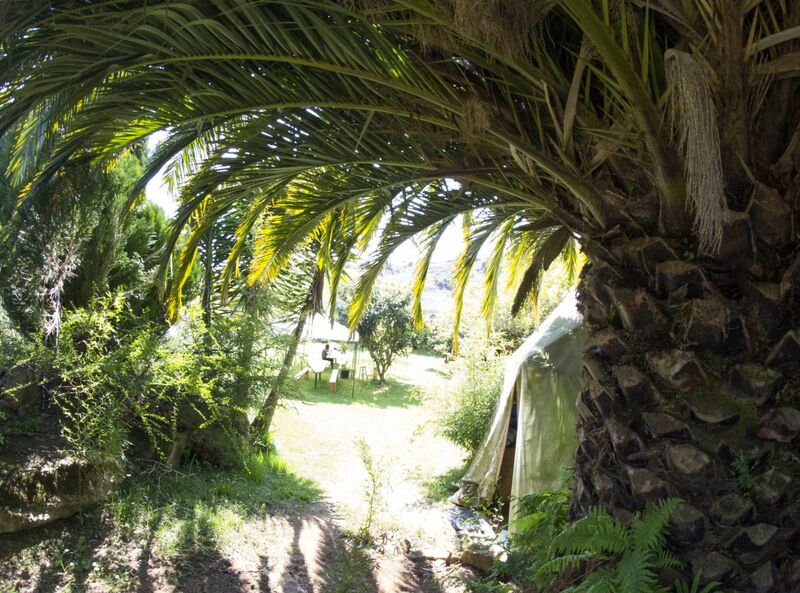 Our Yurt is only made with rods of hazelnut and bamboo collected in Cantabria and fabrics that we have sown ourselves. It has 6 beds available. On the other hand, the dome is a dome-shaped construction in total contact with nature which includes 10 beds and has been made in collaboration with a local company, “Domoexperience”. 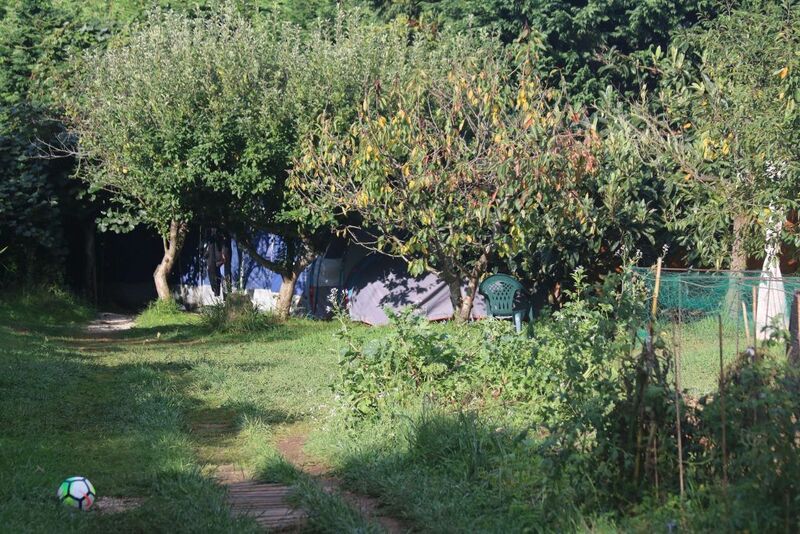 We have also built wooden bungalows among our fruit trees and mounted deluxe tents with wooden entrance that mix completely with nature, lying in the shade of kiwis, persimmons, avocados, and plum trees among others. The camp holds some unique facilities in order to offer a sustainable tourism in Cantabria. You will find places dedicated for relaxation and growth of the body like our meadow in which you can attend yoga classes and workshops on body-balance. We also have a relaxing chill-out terrace and a dry wooden sauna to warm yourself up. 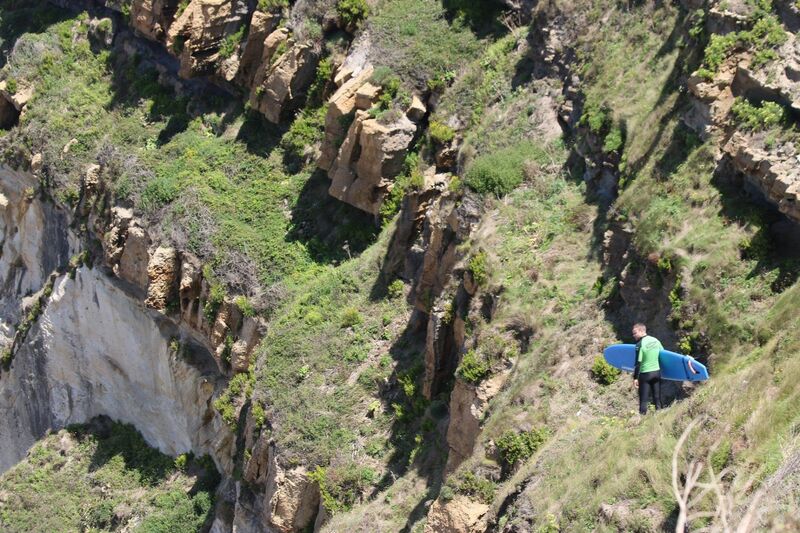 At Biosurfcamp we promote contact with nature as one of our main goals. In our organic garden we harvest a wide variety of organic products, our breakfasts are made up of several homemade products such as bread and sponge cake. Last but not least our classes are in direct contact with the sea at the third natural reserve of surfing in Europe, making Biosurfcamp the top destination for beach ecotourism and sustainability. Agrotourism is constantly growing in Cantabria. Rural tourism is one of the main sources of the economy of Cantabria because, in this community, there is a large number of unique natural spaces. In Biosurfcamp we are aware of this and we want to promote, from our own perspective, initiatives for the care of the environment and to spread the rich rural heritage of our region. That is why we lay information at the disposition of our guests in the form of guides, videos and articles on the possibilities of a rural tourism experience in Cantabria. Cantabria has one of the most unique geographies in the world. Covering just a small area of Spain it holds some of it’s greatest landscapes. Indeed, not only will you find very large coastal areas with open seas, and countless beaches, bu you can also explore our famous moutain range with beautiful forests of beech and oak trees, high peaks and a plateau in the area of Reinosa. This allows us, for example, to be one of the only places in the world where you can enjoy a surf and a ski session on the same day, and with just one hour of commute. 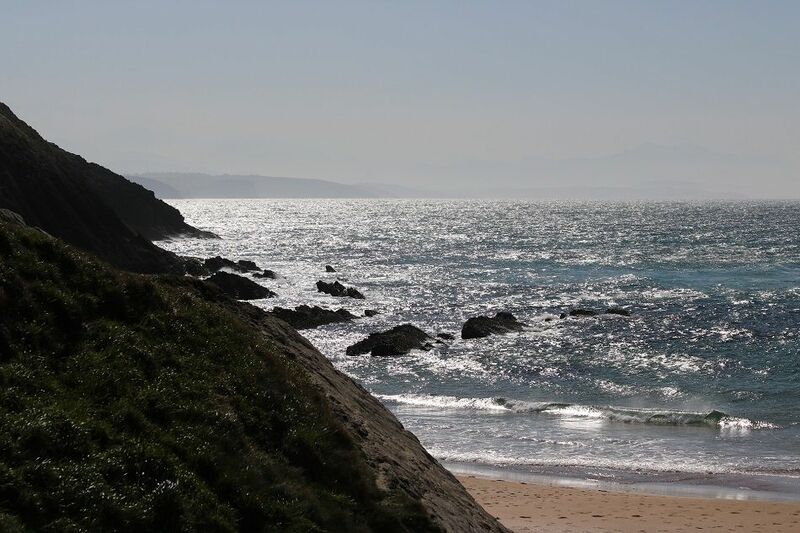 Nature here has given Cantabria some of the most beautiful hiking and cycling routes in spain. In Biosurfcamp, we lay at your disposition some specialized guides for the realization of these natural tourism routes, with itineraries, information about the difficulty, the estimated time of travel, different recommendations for each of the routes, etc. 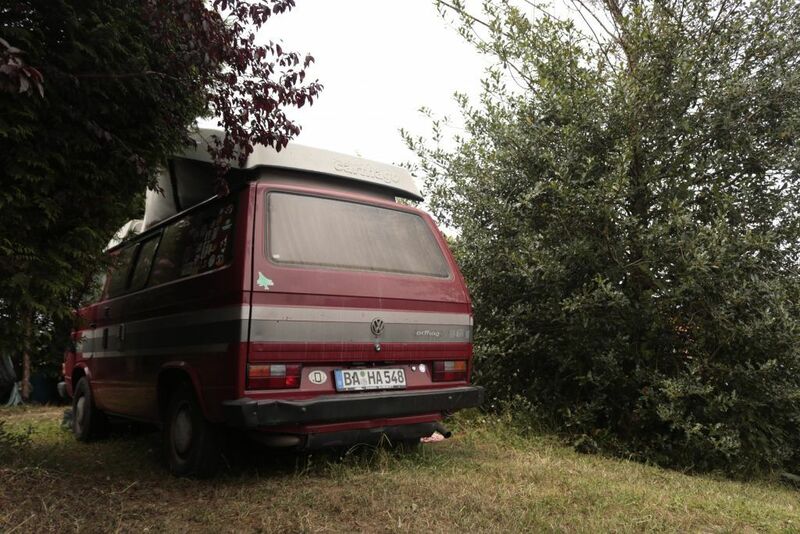 All these routes are endorsed by the Government of Cantabria and by the Ministry of the Environment. They run throughout the Cantabrian geography, from its coastal zone, to its forests and mountains. The first and best known is the road to Santiago del Norte, which is only a few kilometers from our facilities. The second is the Lebaniego road, leaving Suances by passing through San Vicente de la Barquera and finally reaching Santo Toribio de Liébana. It can be done in 3 or 5 stages. 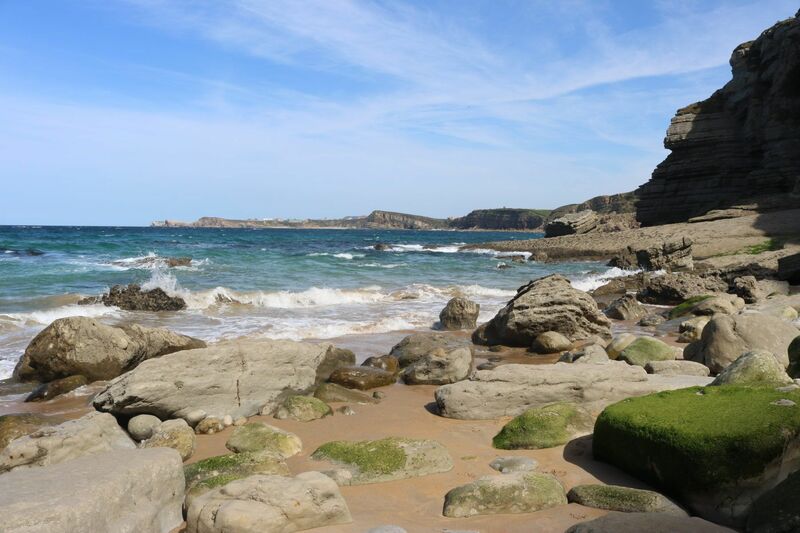 A stay with us won’t only introduce you to the world of surfing, but will also open up an great range of complementary activities to chose from..
Cantabria has almost more than 70 beaches along its 200 kilometers, and some, of coastline. 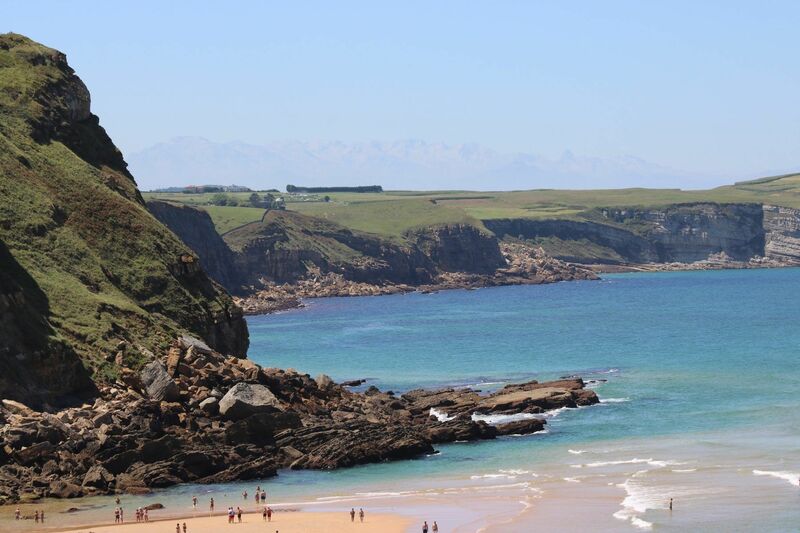 The beaches of Cantabria are famous for their diversity, their exuberant nature and their unique beauty. 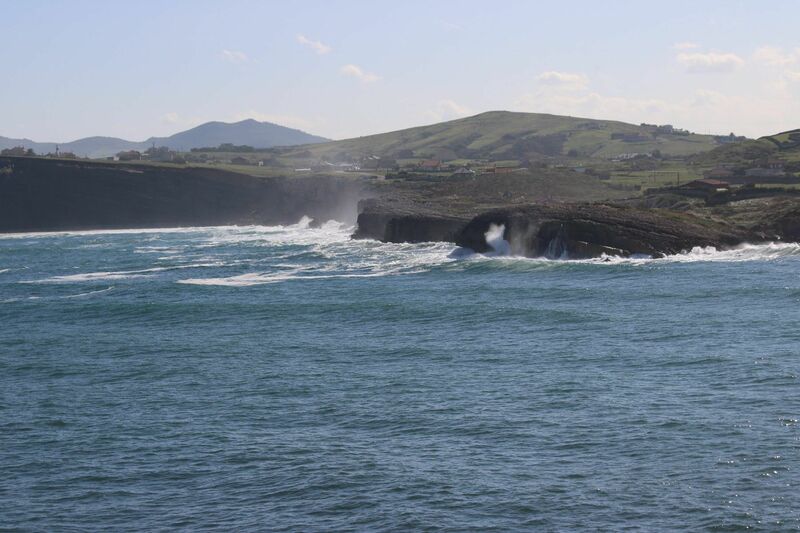 That is why in Biosurfcamp we have opted for various programs in favour of the maintenance of the Cantabrian beaches. 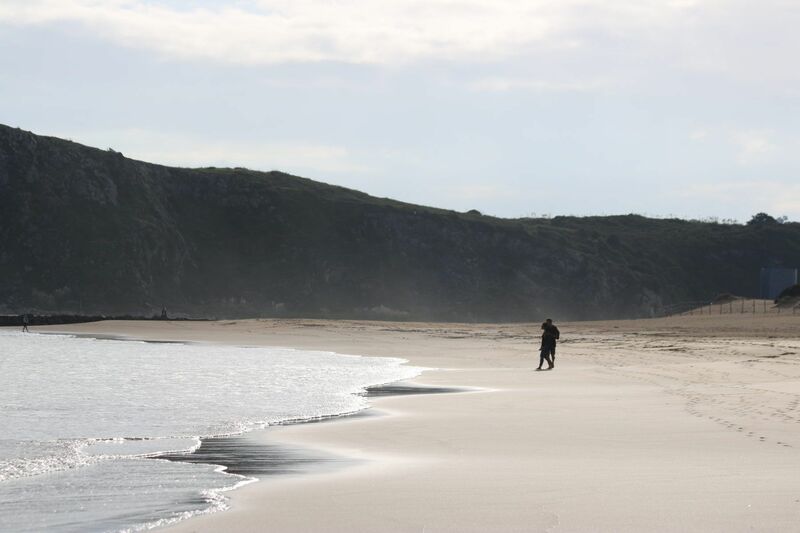 We apply the same principles when we travel, we can find destinations that allow us to thoroughly enjoy the place, and its people while still being able to promote ecotourism in Cantabria taking care of what we see in our path. To do this, we must raise awareness, leave aside the impact from the urban life and promote something authentic, sharing with other travelers, our experience which is sensibly different and enriching. Biosurfcamp is the only surf school in Suances not built on the dune area of the municipality. The dune systems are the most delicate ecosystems in the entire European Union and contain an amazing variety of genuine species that arose from these fragile habitats. Moreover our accommodation options are a clear example of taking action that not only preserves the environment and the traditional use of the place, but also benefits our guests. Several of our ecological tourism activities are originally inspired by the world of surfing. Our classes for small groups are designed so that the student can have a closer and more comprehensive contact with the sea through the advice and technical knowledge shared by of our instructors. Classes are taught at the natural beaches of Los Locos, La Concha and La Tablía. 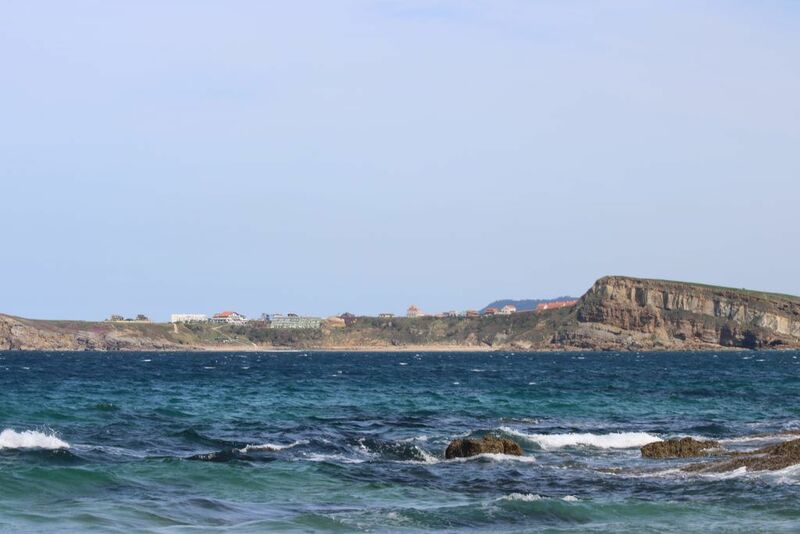 We also develop Paddle Surf routes in these beaches, in the Ría de San Martín and in the area of the cliffs, to enjoy the best views of the town of Suances. Another one of our ecological tourism activities consist of yoga and relaxation classes, which are held in our organic garden. We also lend bicycles for you to see the magnificent greenway of the Besaya starting at the beach with a flat lane without difficulty, crossing the marshes, parks and gorge of Las Caldas del Besaya and ending up into the mountain valley of Buelna.